GST was implemented in India on 1st July 2017 which resulted in independence from the old complex indirect tax system. After successful 100 days of implementation of GST, it has faced with various criticism as well as praise. Bloggers is a new profession in India like the Doctors or Engineers. GST will also be payable by bloggers, affiliate marketers, YouTubers, and other freelancers at the rate of 18% of the total revenue generated. However, for export of freelance or any other such services, no GST is payable. But the compliances and procedures required to be followed will be same. What are the Changes after the 22nd GST Council meeting for the Bloggers? A GST of 18% has been decided to be levied on services such as marketing, blogging and more freelancing services when the services provided are within the economic boundaries of India.The tax will have to be collected from respective clients and deposited to the Government of India. The overall tax paid will be same, i.e. 18%, but it will be paid to Central and State Government separately. If the total revenue of freelancer, blogger, or affiliate marketer is less than or equal to Rs. 20 lacs in the financial year, the total amount will be exempted from GST. He will not be needed to register, file, or pay GST returns. The total tax payable in both inter-state and same state transactions will be same. Only the recipients of these taxes will change. 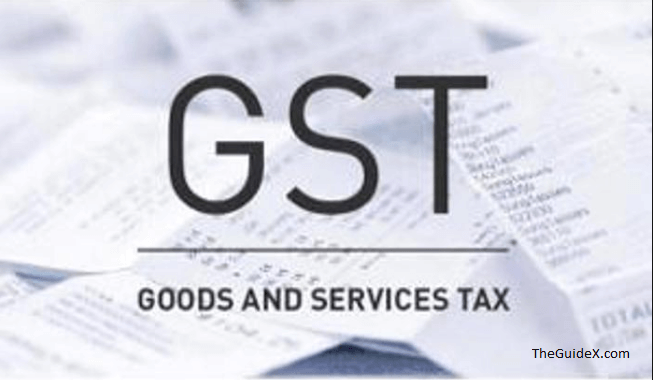 Where the services of a freelancer or affiliate marketer are given to a recipient outside India, 0% GST will be levied in such cases. However, registration for GST would be mandatory in such cases and all other compliances under GST Act 2017 would also be required. Export services after paying the IGST and then claim the refund of the same. Export services without paying IGST by furnishing a Letter of Undertaking (LUT). There is no exemption from GST in case of inter-state transactions. The registration and payment of GST will be however mandatory even if the total turnover is as low as Rs. 10. But due to 22nd GST Council meeting was held on 6th October 2017 where it has given a sigh of relief to the service provider include bloggers. If your turnover or sales are more than 20 lakh rupees in a year within the state then required the GST. If your turnover or sales are less than 20 lakh rupees but provide the service outside state then its required the GST. For Ex – If you are providing the content services from Delhi to Jaipur then it’s covered under the interstate of supply & service which is required GST Registration from starting & have to charge the GST from the Indian clients. Similar in the blogging if you place the private ads on your blog then you have to charge the GST. Even now from Google to Paypal India are also charging the GST on the payments in AdWords or transaction fee. The Service provider includes bloggers, app and web developers, content writer etc. they have been exempted from registration under GST of their annual turnover is up to Rs 20 lakhs even if making the interstate supply. Before this relief, GST registration was mandatory for a person who was providing services outside state irrespective of their turnover. This had a huge impact on the small Bloggers and service providers which were mandatorily required to register for GST. This burden of registration has been now removed and now they have to register only when their annual turnover is above Rs. 20 lakhs. This move made compliance easy and reduce compliance cost to the bloggers and small service providers. This will impact hugely on many small service providers as well as bloggers. Now a large no. of bloggers and small service provider which were earlier mandated to register are now not required to register. Increase in threshold limit for composition scheme i.e. from 75 lakhs to 1 crore. This will make a no. of people eligible for composition scheme which were earlier ineligible. Also mainly benefit the MSME sector. A taxpayer with turnover up to5 Cr has to file GST return on a quarterly basis rather than monthly basis. This has resulted in ease for these taxpayers to file a return under GST. The reverse charge mechanism has been suspended until 31st March 2018 and same will be reviewed by the committee of experts. This has basically waived a great hardship faced by small service providers and bloggers to register under GST. Now they are required to register only when their turnover exceeds Rs 20 Lakhs in a year. The information provided here is precise and valuable. I’ve read various blog posts regarding GST but most of my questions weren’t answered. Now, all my queries are resolved.